In addition to our facility at 1915 Blue Ridge Road, Raleigh, NC, E10 Fuel is also currently available at most Crown Convenience Stores in the Triangle area. To search for Commercial E85 fueling sites, please select Finding and Mapping Commercial E85 Fuel Sites Near You or NC DOT Automated Fuel Site Locations. 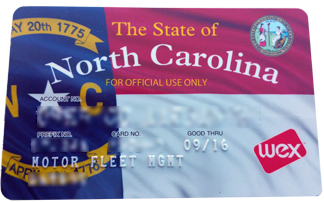 The State of NC Fuel Credit card (Wright Express) is accepted at all of these posted commercial sites.